The process of fat transfer uses living fat cells from your own body as a way to add volume through the face, breasts, hands and buttocks. This alternative to synthetic dermal fillers can offer long-lasting results that look and feel completely natural. 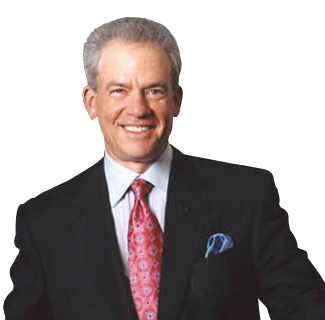 Known as one of the top plastic surgeons in the Bethesda-Chevy Chase metro area, Dr. Stephen Kay has helped thousands of patients from the Washington D.C. area look and feel their best with fat transfer. 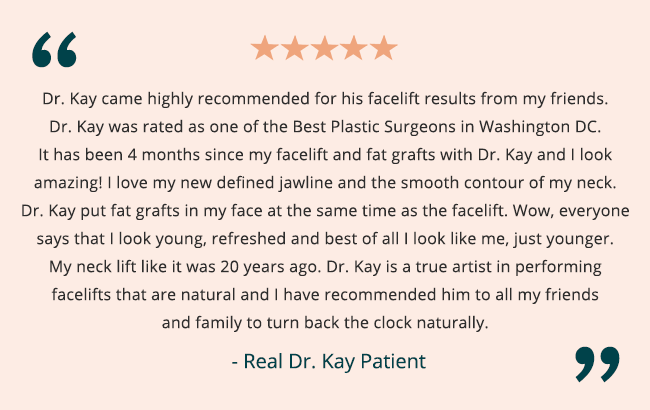 In addition to fat grafting, Dr. Kay offers a full range of cosmetic plastic surgery and medical spa procedures for both women and men. Please contact us online or call our Chevy Chase plastic surgery practice at 301-951-5120 for more information on fat transfer. The best candidates for fat grafting are those women and men who notice signs of aging related to loss of volume in the skin and soft tissues, like gauntness through the cheeks, temples or hands, or deep laugh lines, or who want to see extra curviness through the breasts and bottom. Please visit our before and after photo gallery to see the real patient results that are possible after fat grafting. The costs associated with fat transfer will vary depending on the size of the treatment area and whether other procedures are performed at the same time. Total costs will include Dr. Kay’s surgical fee as well as the fees associated with anesthesia and the surgical facility plus any necessary follow-up appointments. Dr. Kay and his staff are happy to explain all the available options for before and after photo gallery cosmetic surgery financing that can help make the fat grafting process even more affordable. Fat transfer is actually a two-part process that begins with liposuction to collect viable fat cells from another area of the body. Typically, cells are taken from the belly, flanks, and inner or outer thighs. Dr. Kay makes a small incision near the donor area that’s just large enough for a cannula, or hollow surgical tube. Next, he uses gentle suction to withdraw the fat cells before removing any impurities as he prepares them for reinjection. Finally, the purified cells are injected into the target area using a special layering technique for beautiful, natural-looking contours. During your consultation, Dr. Kay will talk about your goals for fat grafting, along with going into more detail about what to expect during the procedure and your recovery, so you feel confident and fully informed. Dr. Kay will talk more about the way cosmetic procedures can complement each other to bring out the best in your body during your consultation, along with discussing a treatment plan that’s customized just for you. The liposuction portion of fat transfer may be performed under either general or local anesthesia plus sedation, depending on the amount of fat cells required for effective treatment of the target area. You may notice some bruising and swelling in the donor area where liposuction was performed, along with a new fullness at the injection site. Fat grafting typically requires only a very minimal downtime and recovery period, as the incisions required for lipo are quite small and the fat cells are delivered with a fine-gauge needle. Unlike other fillers, once the transplanted cells are thriving in their new location, you can expect your new look to be permanent for a final look should appear visibly rested and refreshed. As an added benefit, fat grafting means reducing some of the stubborn, unwanted fatty deposits in the donor area, so you may notice a slimmer look through the thighs, flanks or tummy as well.